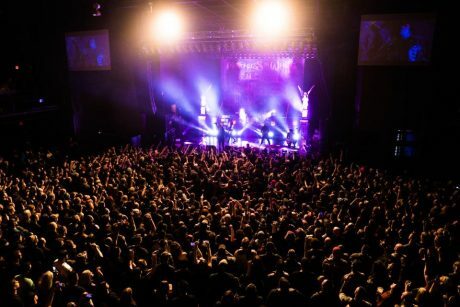 CRANSTON, RI – Setting up for Motionless in White on the recently concluded 2018 leg of the band’s Graveyard Shift tour was anything but “motionless” for lighting director Megan Alksninis of JDI Productions. In the early phase of the 27-city US and Canadian tour, which ran from February 20 to March 25, Alksninis often found herself scrambling to set up in time for the show. Alksninis and her team were more than up to meeting this challenge. 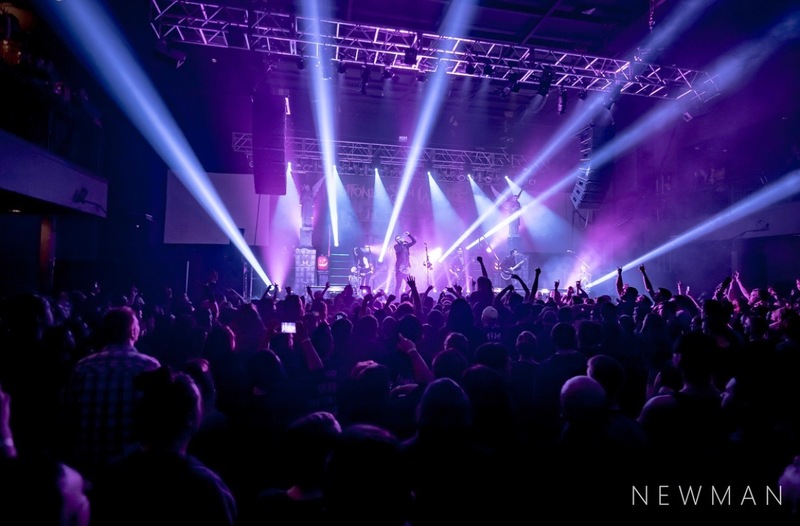 With help from a floor package featuring CHAUVET Professional fixtures, they were able to set up a big, bold and inspired show that was true to LD Cody James’ design. James’ designed called for six Rogue R2 Wash fixtures to be included in the floor package. Alksninis positioned four of these units on risers behind the band and set the remaining two on the stage deck, one to the left, the other to the right. The RGBW moving washes were used primarily for backlighting and for washing the macabre statues on the stage. “The backlighting we did with the Rogues was critical to creating the right atmosphere,” said Alksninis. “We got some really nice looks backlighting the drummer and both guitar players with the R2 Washes. Our backlighting gave the stage an eerie feeling. It was important that the audience see the band members’ faces, but there was also magic in going completely black during breakdowns and letting the lights behind the performers facilitate the music. Seeing lighting move people this way makes everything about her job worthwhile, says Alksninis, even the occasional frantic setups.